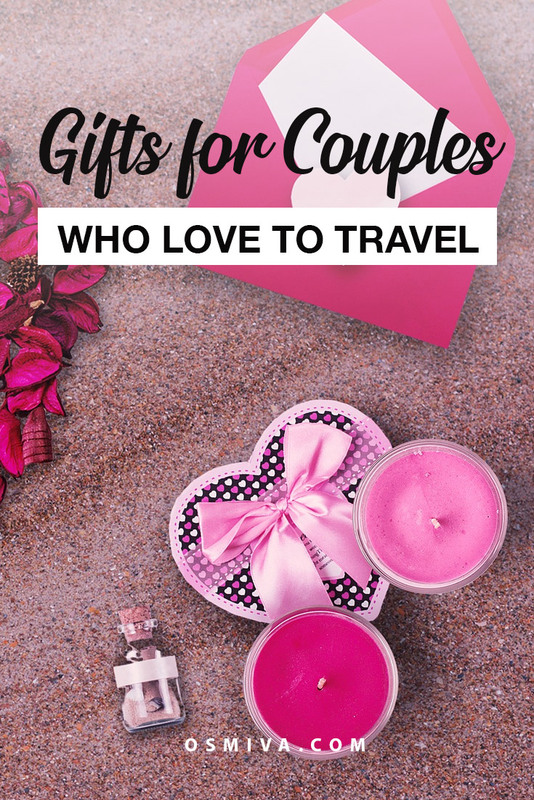 Finding gifts for couples who love to travel can be pretty tricky, especially if you want something really unique or memorable. And even more so if you want both of you to have it. Now I know that it is almost Valentines, but then again, giving gifts should not be only reserved for special occasions! Make everyday a reason to celebrate, they say.. And I completely agree with that! As a person who loves to travel with my better half, having bits and pieces of items that reminds me of him and our adventures together wherever we go is sweet and very reassuring to say the least. It does make the relationship stronger and makes you treasure every moment spent. 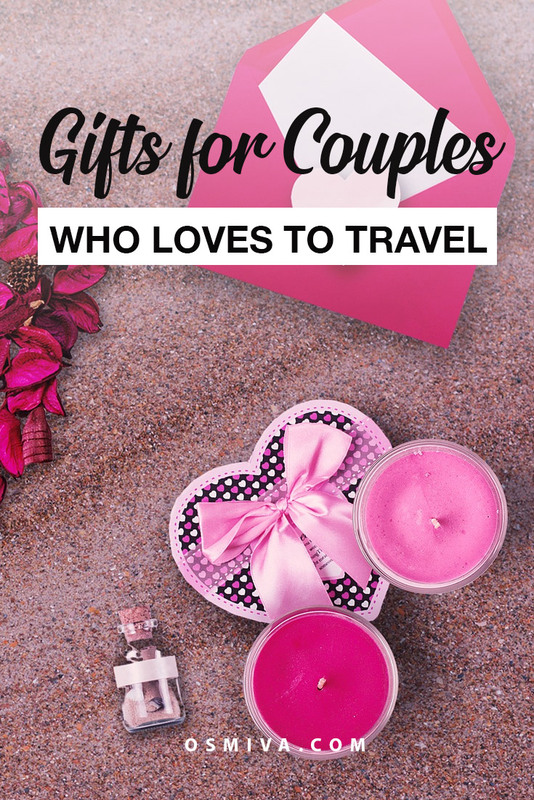 Now if you are looking for cute gifts for couples who both love to travel as well, a wedding gift perhaps, or maybe a house-warming present.. Or maybe you are still looking for last-minute travel gift ideas for your better half just in time for Valentines day, then we have something for you. 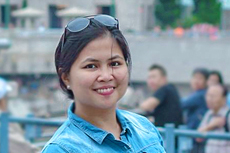 The following list are travel gifts for couple who love to travel. Check them out! So, who doesn’t love some little trinkets? Girls do and some of the boys too, for sure! Now, most of the following items are for couples so you can buy them for you and your loved one at the same time! This couple jewellery is perfect for couples who don’t travel together always. It’s a very thoughtful gift to remind them to keep safe always wherever they go and return home to you. If that isn’t sweet, then I’m pretty sure nothing is! For couples who is in a Long Distance Relationship (hopefully for now) this silver couple keychain is pretty sweet. The items are puzzle pieces that perfectly fit together. If your partner is always on the road, this keychain is definitely a sweet item to give. He/ she can bring it wherever and be reminded to be safe especially when driving. Personally, my husband and I love to match whatever we are wearing. May it be shirt, shoes, bag or whatever that is available. If you and your partner are like that, then the following items may just be right for you and your loved one! Go matchy-matchy with your favourite travel buddy with this Adventure Buddies shirt! Another cute pair of travel shirt for your partner when you are out and exploring! Keep warm wearing almost identical beanies! Declare that you are both the king and queen of each other’s world! Get cozy with each other while on the road with this couple travel blanket! The blanket comes in lovely and sweet colours that will make your lady giggle! Sometimes it is sweet and cozy sleeping side-by-side on the plane or while on the bus for long drives! This pear travel pillow is great for sharing a nice comfy sleep while on the road! Keep cozy and warm while camping with your loved one on this Double Sleeping Bag. The sleeping bag is super warm and cozy and comes with 2 camping pillows too. And if sleeping side-by-side is not possible, you can separate it into two individual sleeping bag. If hammocks are your favourite way of sleeping on when you are both outdoors, then this double camping hammock is perfect for the two of you! The hammock can support up to 500 pounds and os super lightweight and easy to set-up. Turn quick getaways outside your hometown into a lovely memory by setting up a romantic picnic somewhere nice and quiet. This Picnic Backpack is a complete set, luxurious and has great quality! If you are both coffee lovers, this Travel Coffee Cup is good for you. The cups are BPA Free, spill-proof and insulates hot or cold beverage. Great for road trips or just walking tours. This may sound the usual, but who doesn’t find couple luggage tags cute, right? Plus this tag also comes with a satin heart door hanger with the message ‘Do Not Disturb’. Pretty cute for those couples going on romantic trips or during their honeymoon! Who doesn’t get tired of lovely passport covers? I certainly love them! This personalised passport cover for travels are too cute not to be given, don’t you agree? We have another set of great items that I’m sure any couple travelling together will love. Whether you are just at home or on the road! For couples who live in RVs and are traveling in it, this great Art Pin is a great accessory to brighten up and add personality to your home! If both the couple loves writing, this Q and A travel journal is a great way to store memories and write about it. Plus this is a good time to spend quality time together! Since Valentines Day is not just for lovers out there, remember to give some love to your Mom, your Dad, siblings and even your travel buddies! It’s always fun to share the love this season. For sure it’ll bounce back to you a hundred folds! Hope we gave you ideas to make this Valentines Day the most romantic it can possibly be! Cheers!